As it was lunchtime, I fancied something light. The Vegetable Omelette caught my eye and thought that this would be a good chance to get my protein intake for the day. It was supposed to come with chips but the waitress kindly let me change that to a baked potato. 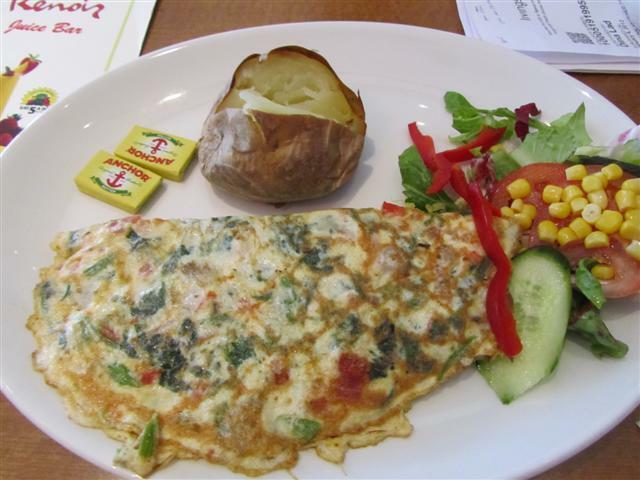 The omelette was made with tomatoes, mushrooms, peppers and spinach. It was nice that it did not have cheese in it, so that the flavours of the vegetables were able to come through. The baked potato on the side was fluffy with a crispy jacket and it was just of the right size. 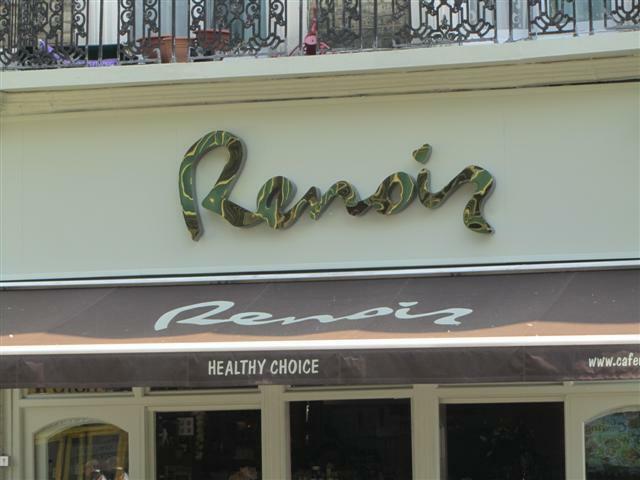 To accompany the meal, I had to try one of Renoir’s fresh juices and there are quite a few on the menu to choose from. The Flu Fighter was refreshing and was a concoction of orange, strawberry, lemon and pineapple. Renoir has a lovely interior with cushioned seating opposite the counter. At the back of the cafe is another area with tables and cushioned chairs. The walls are decorated with artwork. There is also outdoor seating sectioned off with plants. The staff were friendly and gave us good service. It was nice that we did not have to wait long to place our order or to get the bill at the end of the meal. 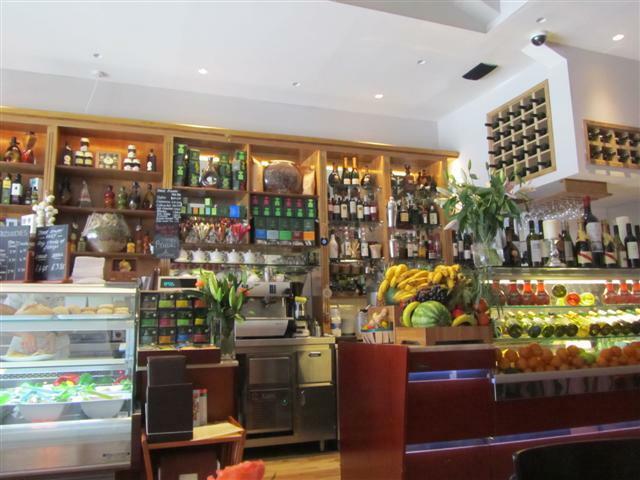 Renoir is a refreshing cafe and restaurant in the Kentish Town area. It is great all day dining, from the morning right through to the evening. Previous Post World’s Biggest Coffee Morning!